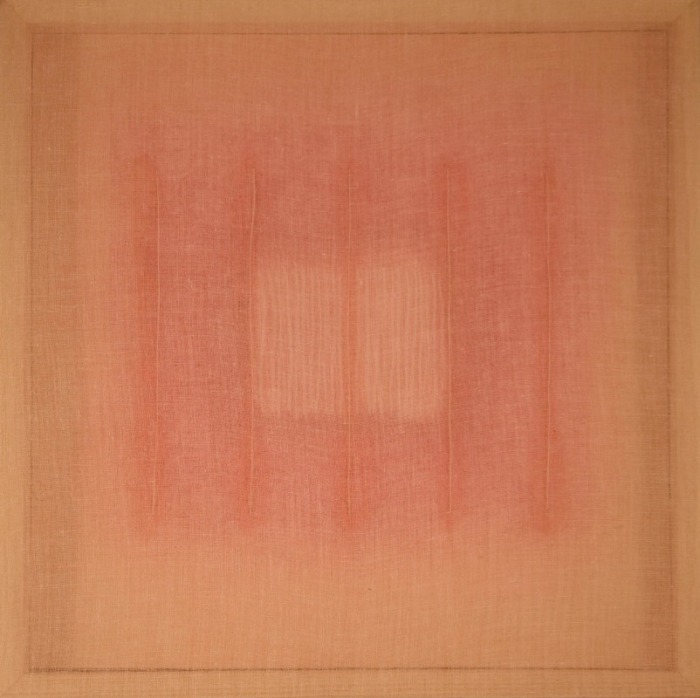 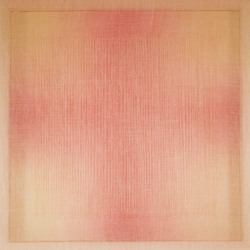 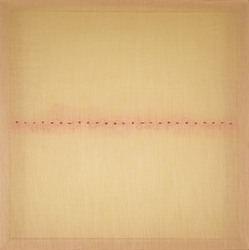 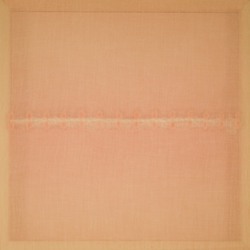 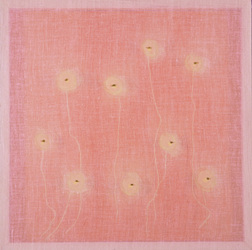 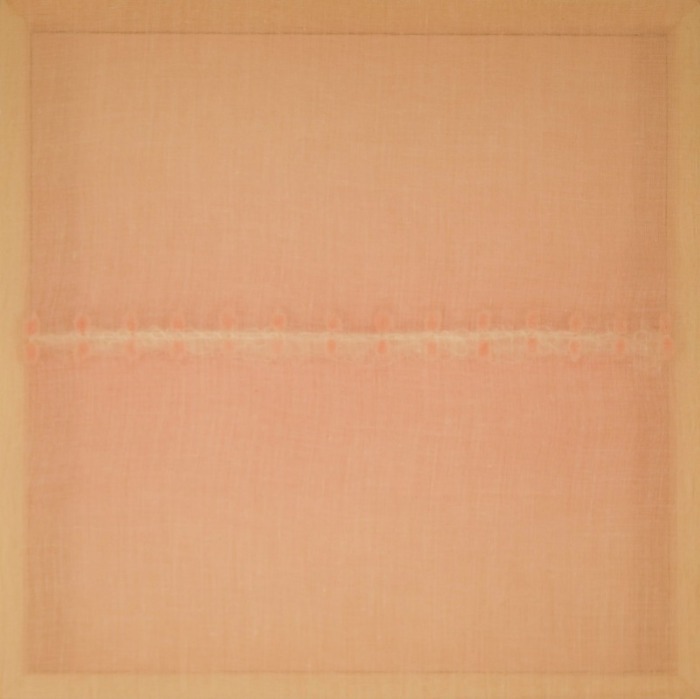 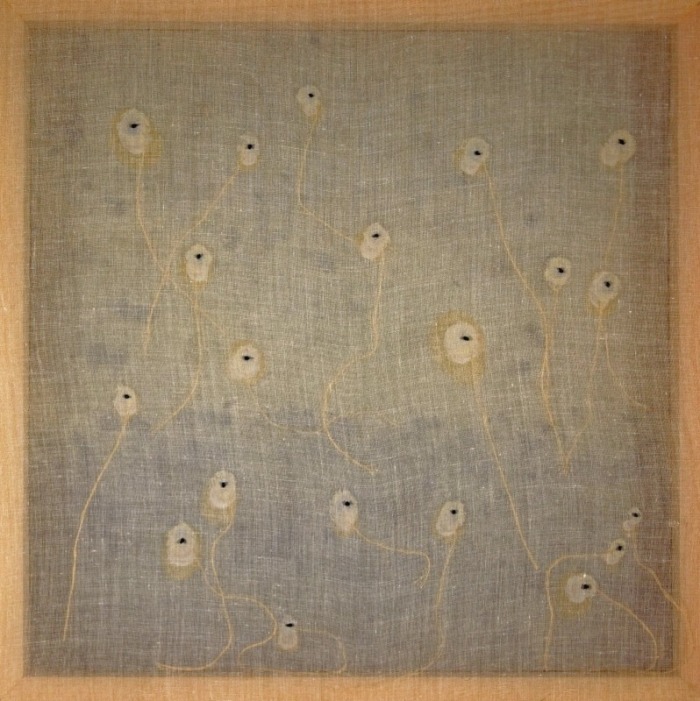 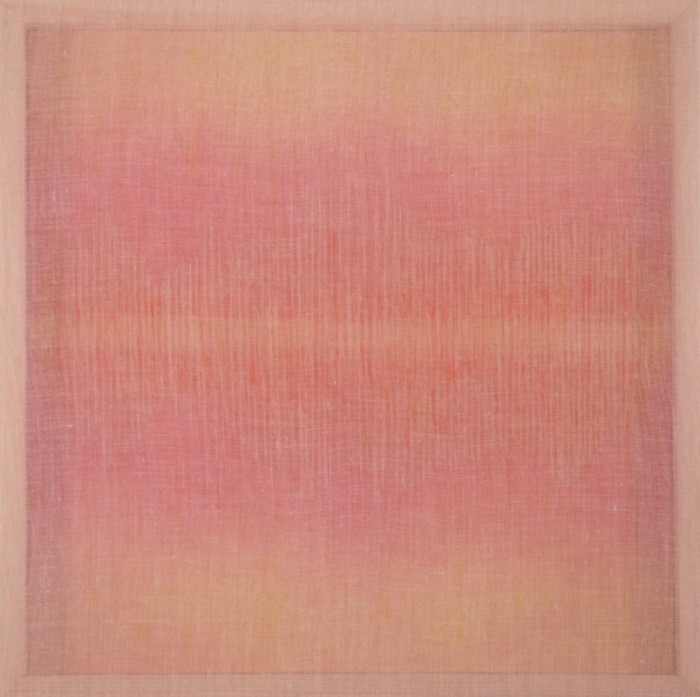 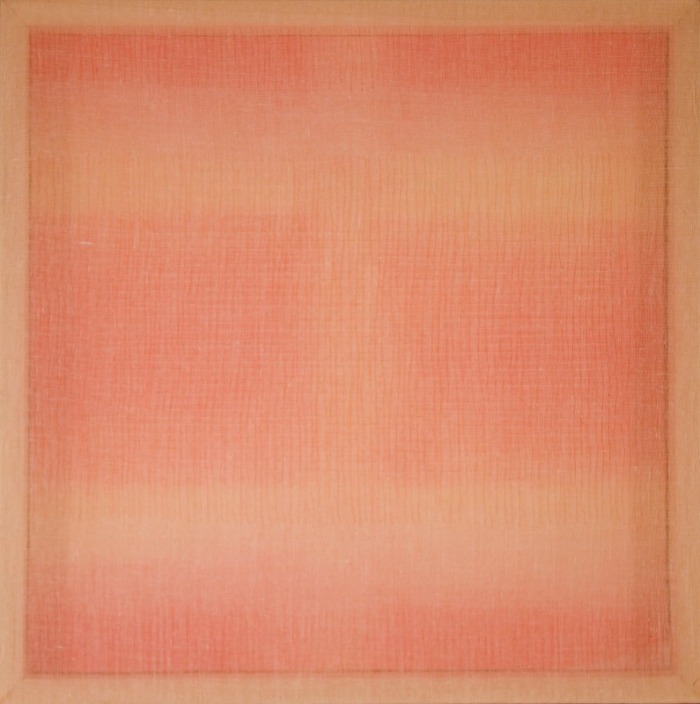 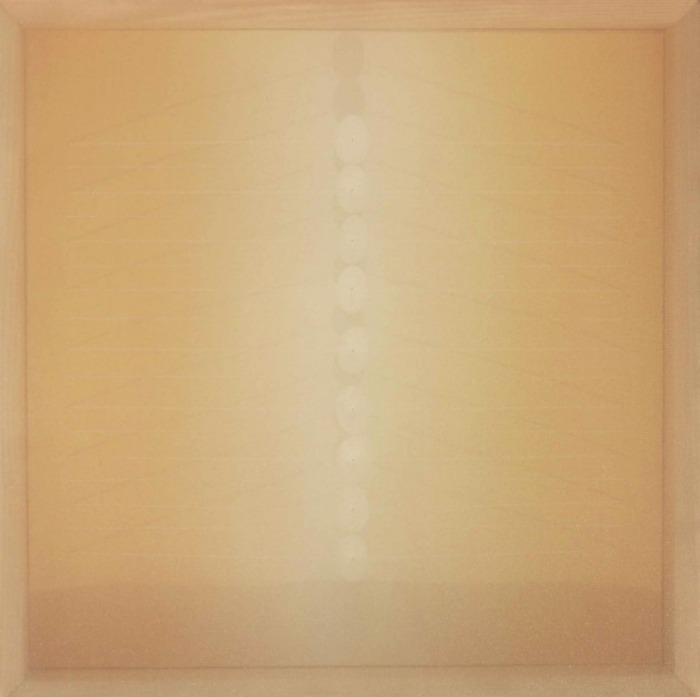 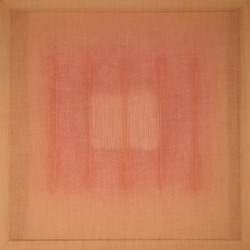 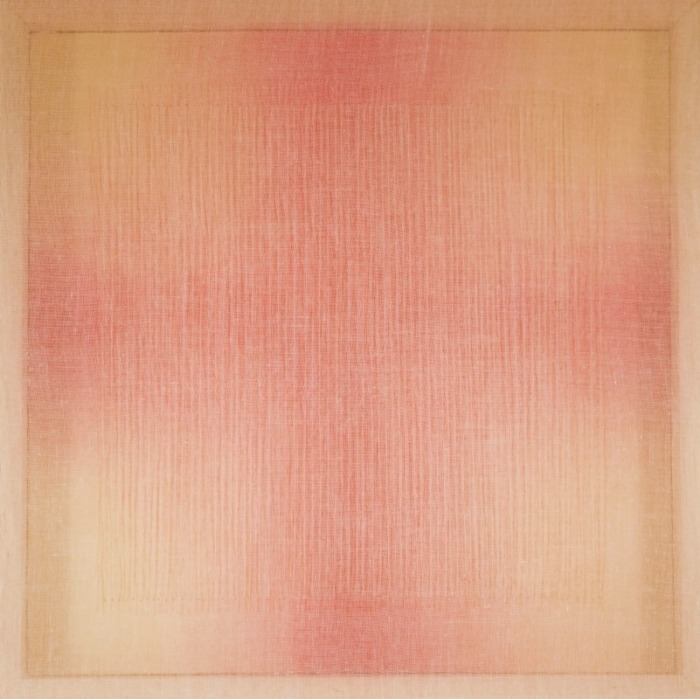 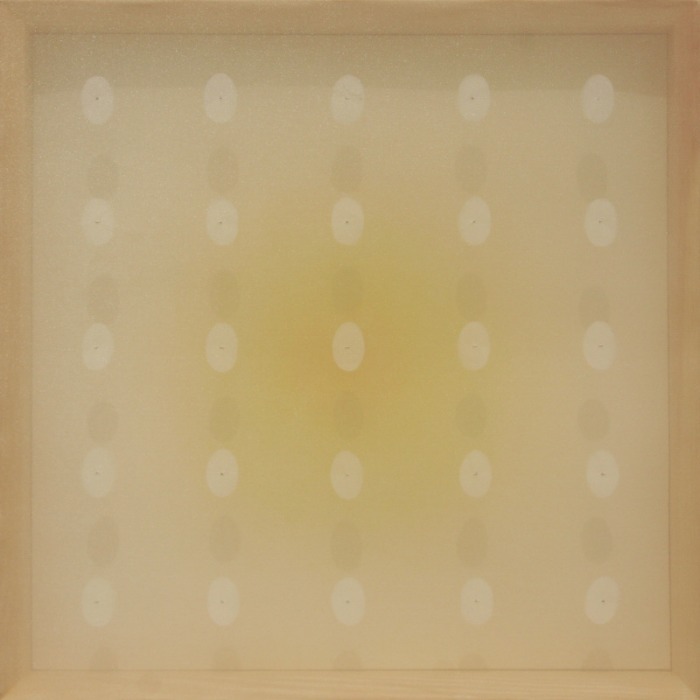 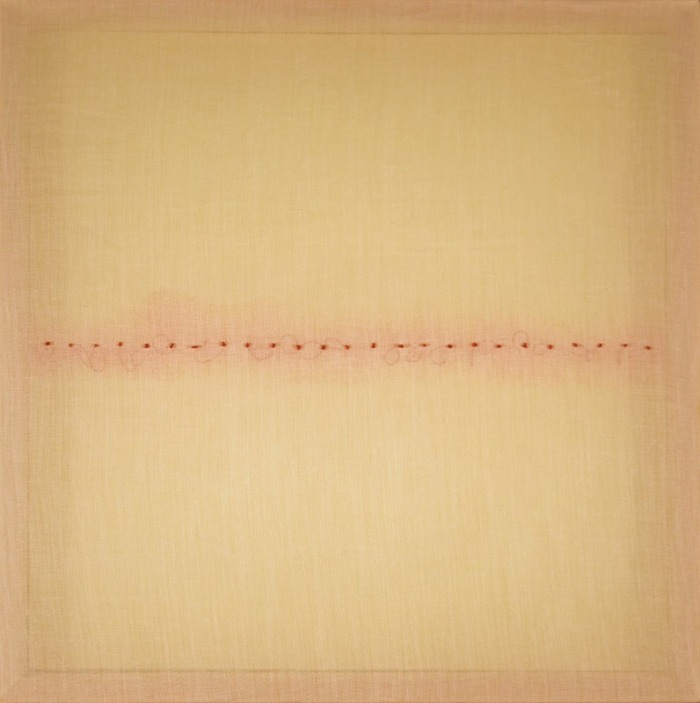 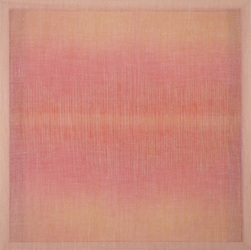 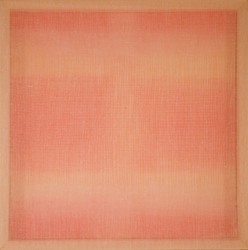 The Open Series paintings are comprised of translucent layers of scrim and paper that, if one pauses, will reveal more. 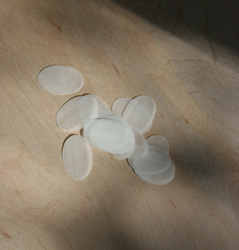 A single concept or idea is repeated but altered to show the endless variation that goes on in an artist’s mind. Embroidery thread and yarn on scrim fabric and watercolor paper.